I have extracted most of this information from “Lancaster – The story of a famous bomber” – Bruce Robertson. The production orders and details of contracts are listed below in alphabetical/numerical sequence of serial numbers which is the chronological order of the placing of the contracts. All entries are in chronological sequence. Letters in brackets are the code letters the aircraft bore in service with the particular unit or squadron given. The place names given in brackets are the targets for the operation on which the aircraft was reported lost. All aircraft given as lost or missing may be taken as on operations unless otherwise stated. All dates for units are the dates the aircraft was allotted to the unit. Where total flying hours are known these are given as a final entry, but apart from that the final entry normally records the final fate of the aircraft. With those aircraft which were lost I have added as much information as possible detailing its final fate. 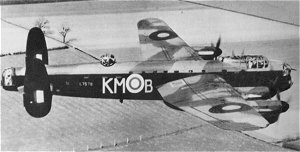 Although the ultimate aim of my site is to explore and give details on all '666' aircraft, I feel I would be remiss if I didn't give more information on the Avro 679 Manchester. Seldom has the marriage between a new airframe and new engines been satisfactory and the Avro 679 Manchester was no exception. Designed to specification P.13/36 as a twin engined medium bomber with the new Rolls-Royce Vulture 24-cylinder engine, the Manchester would have been in competition with the Handley Page H.P. 56. Plans for this aircraft were abandoned in 1937 thus leaving a clear field for the Manchester. The Rolls-Royce Vulture was a British aero engine developed shortly before World War II that was designed and built by Rolls Royce Limited. 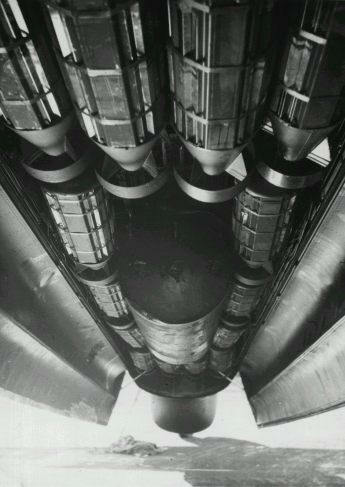 The Vulture used the unusual "X-24" configuration, whereby four cylinder blocks using the earlier V12 Kestrel cylinder bore and stroke dimensions were joined by a common crankshaft using a single crankcase. The engine was originally designed to produce around 1,750 horsepower (1,300 kW), but continuing problems with the Vulture design meant that the engines were derated to around 1,450-1,550 hp in service by limiting the maximum running speed. The supercharged Kestrel was a fairly standard design, with two cylinder banks arranged in a V form and with a displacement of 21 litres (1,300 cu in). The Vulture, in effect, was two Kestrels joined at the crankcase, producing an X engine configuration with a displacement of 42 litres (2,600 cu in) although the Vulture used redesigned cylinder blocks with increased cylinder spacing to accommodate a longer crankshaft. The increase in crankshaft length was necessary for extra main bearings and big end design considerations. The engine suffered from a far too short pre-service development period and the reliability of the Vulture was very poor. Apart from delivering significantly less than the designed power, the Vulture suffered from frequent failures of the big end connecting-rod bearings, which was found to be caused by a breakdown in lubrication, and also from other engine heat dissipation problems. Rolls-Royce were initially confident that they could solve the problems, but the company's much smaller Merlin had already reached the same power level as the Vulture's original specification, and so production of the Vulture was discontinued after only 538 had been built. The first of two Manchester prototypes L7246 first flew from Ringway on 25th July 1939, to be followed by the second prototype L7247 on 26th May 1940. A production contract had been placed for 200 aircraft to meet another Air Ministry Specification, 19/37, on July 1st 1937 and this was later increased to 400. Following flight trials the wing span was increased by 10ft (3.05m) and a central fin was added to supplement the small twin fins and rudders. Later, after a number of Manchesters had been delivered as MkI's, the central fin was deleted and the twin fins increased in area; in this form it became the Mk1a. The prototype and first two production aircraft were delivered to the Aircraft and Armament Experimental Establishment (A&AEE), Boscombe Down for tests while the second prototype went to the Royal Aircraft Establishment (RAE), Farnborough. The first delivery was to No.207 Squadron, which reformed at RAF Waddington on 1st November 1940 and six of the eighteen aircraft on squadron strength carried out their first operation to Brest on the night of 24th to 25th February 1941. As deliveries built up so more squadrons became equipped with the aircraft these included No's 9, 49, 50, 57, 61, 83, 97, 106, 408 and 420, while No144 squadron of Coastal Command received enough aircraft to form one flight. 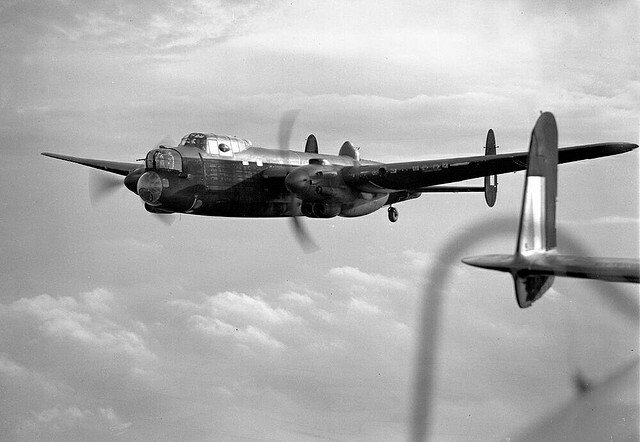 The Manchester proved to be a failure mainly because of the unreliability of the Vulture engines, and the inability of these powerplants to deliver their designed power; there was also a number of airframe defects and it was with great relief that squadrons began to relinquish their Manchesters from mid-1942 as Lancasters began to replace them. The last Bomber Command Manchester operation took place on 25th to 26th June 1942 against Bremen and in the final tally it was found that the type had flown 1269 operational sorties, dropping 1826 tons of HE plus incediaries. Some 202 aircraft were built of which about 40 per cent were lost on operations and 25 per cent were written off in crashes. Two prototypes ordered from A.V.Roe (Manchester) September 8th, 1936 to Air Ministry Specification P.13/36 under contract No. 624973/37. L7246 first flew from Ringway on July 25th, 1939 and L7247 on May 26th, 1940; they became 3422M and 2738M respectively. 200 Manchesters ordered from A.V.Roe (Manchester) in August 1936 to Air Ministry Specification 19/37 under Contract No. B648770/37 and built as 157 Manchester I/IA from July 31st, 1940 and 43 Lancaster I from October 1941 to March 1942. L7277 - AAEE 25Oct40; 1654CU, crashed North Scarle 2Mar43. L7278 - Delivered to 207Sq (EM-A) on 10th November 1940. This was the first Manchester lost. Aircraft took off from Waddington at 0200 on an operation to Lorient. It crashed and hit trees at 0225 on 21st March 1941 whilst trying to make an emergency landing east of Wymondham, some six miles east of Melton Mowbray, Leicestershire. The crash was attributed to a silver bearing failure in the port Vulture engine. Unfortunately not all of the crew survived. Crew: - Sgt F B Harwood † (DFM), Sgt N Birch †, Sgt Holland (inj), Sgt W C Aitken †, Sgt B Hogg †, Sgt Hallam (inj). L7279 - Delivered to 6MU on 21st October 1940 before being transferred to 207Sq on 6th November 1940, it finished its service with the Royal Aircraft Establishment (RAE) and was finally struck off charge (SOC) on 11th October 1943. Avro Manchester L7280 - Under construction. L7280 - Delivered to 207Sq during December 1940, it was subsequently utilised by 44 Conversion Flight, 83Sq, 1654 and1660 Conversion Units, it was finally struck off charge (SOC) on 15th August 1943. L7281 - Delivered to the Aircraft and Armament Experimental Establishment (A&AEE) on the 7th December 1940. It subsequently served with 1654Flt, 49Sq, 1661CU and was struck off charge (SOC) on 14th September 1943 having flown a total of 327hrs. L7282 - Delivered to 207Sq during December 1940, it was then transferred to 97Sq during February 1941, it was grounded at No12 School of Technical Training (12STT) during January 1943. L7283 - Delivered to 207Sq during December 1940, it subsequently served with 25 Operational Training Unit (OTU), 97Sq, 1660Conversion Unit (CU), 10 Air Gunners School (AGS) when finally in June 1943, it was reduced to a maintenance airframe and became 3743M. L7284 - Delivered to 207Sq (EM-D) during November 1940, it was transferred to 61Sq during April 1941, ending its service at 39MU, it was Struck Off Charge (SOC) on 18th June 1943. L7285 - Delivered to 37MU during July 1941, it was transferred to 83Sq in April 1942, and subsequently served at RAE before being transferred to 39MU where it was struck off charge (SOC) during October 1942. L7286 - Delivered to 207Sq during November 1940, it subsequently served with 61ConFlt, 83Sq, 1660CU and was finally struck off charge (SOC) in March 1943, having completed a total of 218hrs. L7292 - Delivered to 207Sq during December 1940, it subsequently served with 97Sq, 61Sq, 39MU transferring to the Tactical Development Unit (TDU) in December 1942, where it was struck off charge (SOC) on the 6th November 1943. L7293 - Delivered to 37MU probably during July 1941, it was transferred to Rolls-Royce presumably for engine tests, serving with 83Sq, 49Sq, 61Sq, 207Sq, 1660CU, it was reduced to a maintenance airframe and became 3773M. L7296 - Delivered to 49Sq (Y) Conversion Flight during December 1940, it was transferred to1661CU, and was finally Struck off charge at Benson on the 18th April 1943. L7299 - Delivered to 207Sq in January 1941 it was transferred to 97Sq during February 1941 and it ended its service with 39MU, where it was struck of charge (SOC) on 31st October 1943. L7300 - Delivered to 207Sq (EM-F) in January 1941, it was one of the six Manchesters that carried out the first operation by this aircraft type, on the 24th February 1941. The target was Brest. The aircraft was delivered with no mid upper turret and such was not considered operational subsequently whilst other aircraft were packed off to OTU's this aircraft remained on squadron strength. On a local flight from Bottesford to Waddington shortly after take-off, with a loud rumble and clatter the port engine failed. The prop was feathered, but the mechanism failed, leaving the prop windmilling. The throttle was advanced on the other engine, which brought about severe vibration of the engine and airframe, and this engine also packed up, on the afternoon of 23rd November 1941 it crashed whilst turning on finals at 1530. 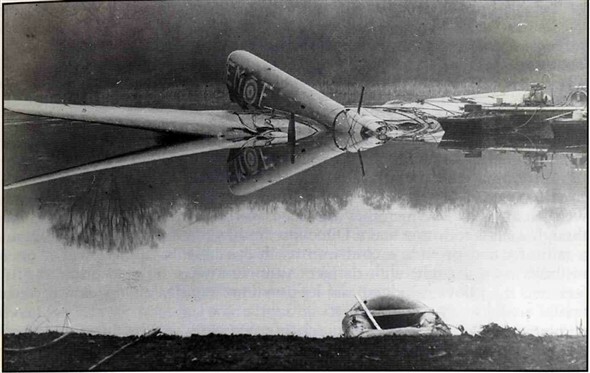 A forced landing was inevitable, executed on a flat piece of ground bordering a small tree-lined lake. The Manchester ploughed on, straight into the lake known as Fiskerton Lake, some 8 miles east of Lincoln. The aircraft had carried out 17 operations. Crew: P/O A W Hills, P/O F Roper (RCAF), P/O S E Patterson. L7301 - Delivered to 50Sq, (ZN-D) The aircraft was borrowed from 106Sq and took off from Skellingthorpe at 2301 on the 30th May 1942. It was hit by flak over Köln and very severely damaged. Subsequently the aircraft was abandoned by six of the crew: - P/O R J Barnes (pow), Sgt L H Baveystock (evd), P/O R M Horsley (evd), Sgt S E King (evd), Sgt A F McMills (evd), Sgt B W Taylor (evd), after which the aircraft crashed at 0200 in the early hours of 31st May into a dyke at Bree (Limburg), 21km NNE of Genk, Belgium. The testimonies of the five evaders were instrumental in the posthumous award of the Victoria Cross to the pilot P/O L T Manser. L7302 - Delivered to 207Sq (EM-R). Aircraft took off from Waddington on an operation to Kiel on 8th April 1941. The aircraft was hit by flak in the starboard engine, which later caught fire. The aircraft was successfully abandoned and left to crash near Hamburg. All the crew were interned as pow. Crew: - Wg/Cdr N C Hyde (Squadron CO), F/O H T Morgan, F/Sgt J Wells (DFM - from previous service with No 50 Sqdn), Sgt W Buck, Sgt D A Budden, Sgt L W Hedges. L7303 - Delivered to 207Sq (EM-P), then subsequently transferred to AFDU for trials in March 1941, it was shot down on 27th March 1941. Aircraft took off from Waddington on an operation to Düsseldorf but was abandoned and crashed between Roessel and Bakel (Noord Brabant), six kilometers north-east of Helmond, Holland. F/Lt Siebert was the last to leave the aircraft but he hit the ground before his parachute had fully deployed. Moments later, the Manchester was attacked by a night fighter (Ofw Herzog, 3./NJG1) operating from Eindhoven. Crew: - F/Lt J A Siebert †, Sgt P C Robson (pow), Sgt G T J Fomison (pow), Sgt W J J McDougal (pow), Sgt J A Taylor (pow), Sgt P Gurnell (pow). L7304 - Delivered to 207Sq during February 1941, then transferred to 61Sq during April 1941, the aircraft took off from Hemswell at 23:01 on an operation to Kiel and crashed near Brunsbüttel Germany on 26Jun41. Crew: F/O K G Webb †, F/O L J Glover †, F/Sgt F Woodruff †, F/Sgt J Woodward †, Sgt F S Haslemore (RNZAF) †, P/O C Bateman †. L7305 - Used as a Trials a/c , for what it is not known but it was subsequently delivered to 25 Operational Training Unit (OTU), serving with 106Sq, finally completing its service at No3 School of Technical Training (SofTT) in September 1943, where it became maintenance airframe 4279M. L7306 - Delivered to 97Sq during February 1941. The aircraft took off from Coningsby at 2020 on the evening of 13th September 1941 for a training mission but subsequently crash-landed after the starboard tyre burst. A fire broke out and the crew all scrambled to safety. Crew saved: Sgt G H Hartley, Sgt Appleyard, Sgt J Canham, Sgt Dean, Sgt Baker, Sgt Mayland, Sgt Gross. 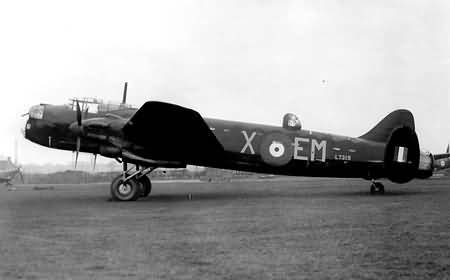 L7307 - Delivered to 61Sq during February 1941, it served with a number of units including 97Sq, 25OTU, 1654/60/68CU’s, No5 Lancaster Finishing School (LFS), where it became maintenance airframe 4118M. L7309 - Delivered to 207Sq (EM-J) during February 1941, transferred briefly to 97Sq before returning to 207Sq (EM-O), The aircraft took off from Bottesford at 1709 on the evening of 14th January 1942 on a raid to Hamburg, it is not known exactly where the aircraft came down but Sgt Cadman is buried at the Sage War Cemetery, Oldenburg. Crew: F/O G B Dawkins (DFM)(pow), Sgt G E Allan (RNZAF)(pow), F/Lt P J Edwards (pow), Sgt J Mercer (pow), Sgt J W Cadman †, Sgt E G R Bestel (RCAF)(pow). L7310 - Delivered to 207Sq (EM-H), the aircraft took off from Waddington on an air test and crashed almost immediately at Dunstan Pillar just beyond the airfield. The accident was attributed to a loose tappet leading to a valve blockage, which resulted in engine failure. F/Sgt Arnott died from his injuries on 20th July 1941 and it is believed that Sgt Syrett's injuries were so severe that he never returned to operational flying. Crew: Sgt L Syrett inj, S/Ldr C J F Kydd †, F/Sgt J W Arnott. L7311 - Delivered to 207Sq (EM-F) on 22nd February 1941, aircraft took off from Waddington on the evening of 16th August 1941 on a raid to Düsseldorf and was shot down by Hptm Werner Streib, I/NJG1 and crashed at Oberkrüchten, Germany. Sgt Hart was quite seriously wounded by shell splinters which entered his back. Crew: P/O H G Keartland (pow), Sgt A Ross (pow), F/Sgt A Wappett (DFM)(pow), Sgt E G Ball (pow), Sgt J R Currie (pow), Sgt W Hart (pow). L7313 - Delivered to 207Sq (EM-C) on 27th February 1941. On the evening of the 13th March 1941 the aircraft was accelerating down the runway at Waddington off on a raid to Hamburg when it was attacked by a Junkers Ju88c intruder flown by Fw Hans Hahn of 3/NLG2, probably operating from Glize Rijen in Holland. Somehow F/O Matthews got the aircraft into the air but moments later it crashed and exploded at Whisby, Lincolnshire. Sgt Cox was thrown clear and survived despite losing one of his legs. This was the first Manchester lost and in his report Fw Hahn timed his combat at 2200, claiming it to be a 'Hudson'. Crew: F/O H V Matthews (DFC) †, Sgt J Marsden †, Sgt H C Redgrave †, Sgt R D Welch †, Sgt W A W Cox inj, Sgt H W Hemingway †. The nightfighter involved was from 25 Squadron based at RAF Wittering. The accident investigation card (Form 1180) notes that its pilot had been convinced the aircraft intercepted was hostile, and that this had resulted in his failure to correctly identify it. He had been influenced by the sector controller who had informed him that a bandit was in vicinity, and subsequently a portion of the blame went to ground control for the part they played in the identification process. 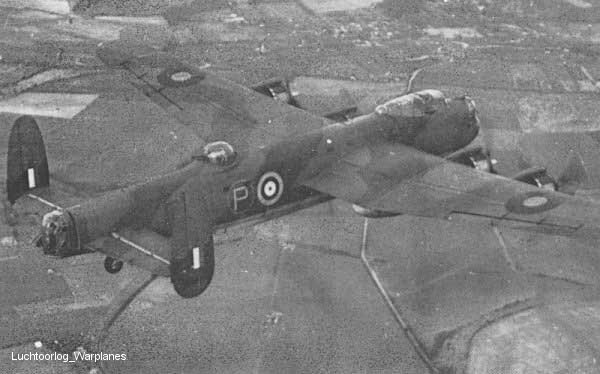 Certainly the sector had been busy with intruder activity that night - another Beaufighter from 25 Squadron shot down a Ju88 near Market Deeping - so it was L7314’s misfortune to have been passing during the alert. 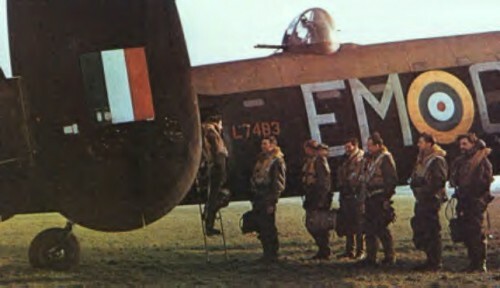 The Manchester’s seven crew members were: F/O J D G Withers †, Sgt A M James †, Sgt W Brown †, Sgt A Malone †, Sgt S Veitch †, Sgt J A Maville †, Sgt M V Browne †. L7315 - Initially delivered to 46MU, subsequently served with 97Sq before finally transferring to 61Sq, the aircraft was on a training mission when a con-rod failed and an engine caught fire it subsequently crashed near Grantham, Lincs. The wireless operator baled out and landed safely but the pilot P/O C G Colborne was killed. The aircraft was completely burnt out in the crash on 29th June 1941. L7316 - Initially delivered to 27MU, it was subsequently transferred to 207Sq (EM-U) on 13th April 1941. This aircraft took off from Waddington on the evening of 31st August 1941 on a raid to Köln but was hit by flak on approach to the target and crashed near Oberkrüchen, Germany. Those who died are buried in the Rheinberg War Cemetery. Crew: P/O T R Gilderthorp (pow), P/O P G C Wood †, Sgt L C Parker (pow), Sgt B Akrigg †, F/Sgt R W Gray (RCAF) †, Sgt W M Cadney (RCAF) †. L7318 - Delivered to 207Sq (EM-K) on 6th March 1941. During a transit flight the aircraft crashed at 1810 on the 15th September 1941 and exploded after diving into the ground in the Waddington circuit. The crew along with a large servicing party were returning to base after attending to a Manchester that had landed at Haverigg airfield, Cumberland. All were sadly killed. Crew: P/O E E G Crump †, P/O J P S Sawyer †, P/O J R Clements (RCAF) †, Sgt N A Mathison †, LAC L W Carter †, LAC J F Riding †, LAC H F Winter †, AC1 R Boyd †, AC2 J W Grace †, AC2 J Lister †. L7320 - Delivered to A&AEE on the 23rd March 1941, it crashed during a test flight on the 12th December 1941, having flown a total of 118hrs. L7321 - Delivered to 207Sq (EM-D) on the 17th March 1941. The aircraft took off from Waddington on a raid to Köln on the evening of 13th October 1941. It was shot down by a night-fighter flown by Oblt Heinrich Griese of 1/NJG1 and crashed at Hozemont, Belgium. Those who died are buried at Heverlee War Cemetery. Crew: P/O J Unsworth (DFM) †, P/O H B Carroll evd, P/O W E Simpson (RCAF) †, Sgt G T Cox evd, F/Sgt E Moulding †, Sgt A F Dickson (RCAF) †, P/O F Mason †. L7322 - Delivered to 207Sq (EM-B) (EM-Q) during March 1941. The aircraft took off from Bottesford at 0354 on the 9th January 1942 on a raid to Brest. The aircraft was hit by flak and believed to have crashed in the sea in the vicinity of Crozon (Finistere), on the northern shores of the Baie de Douarnenez.F/O Bayley, Sgt Goldie RAAF and Sgt Seymour RAAF are buried in Crozon Communal Cemetery, the rest have no known graves. Crew: F/O G R Bayley †, Sgt N M Toohill (RAAF) †, Sgt A G Harris †, Sgt R V Griffiths †, F/S J E Jones (DFM) †, Sgt P C H Goldie (RAAF) †, Sgt W R Seymour (RAAF) †. L7323 - Delivered to 97Sq (OF-A) on 4th April 1941. The aircraft took off from Coningsby on an operation to Berlin. Unfortunately it ditched in the North Sea on its return on 12th August 1941, this was the first aircraft lost by 97 squadron having achieved a total of 32hrs. All the crew became prisoners of war. Crew: P/O R S Ayton, F/S J Bryce (DFM), Sgt W J Chantler, Sgt D J Harvey, Sgt E W R Sykes (DFM), Sgt R Anderson. L7324 - Delivered to 97Sq on 4th April 1941. 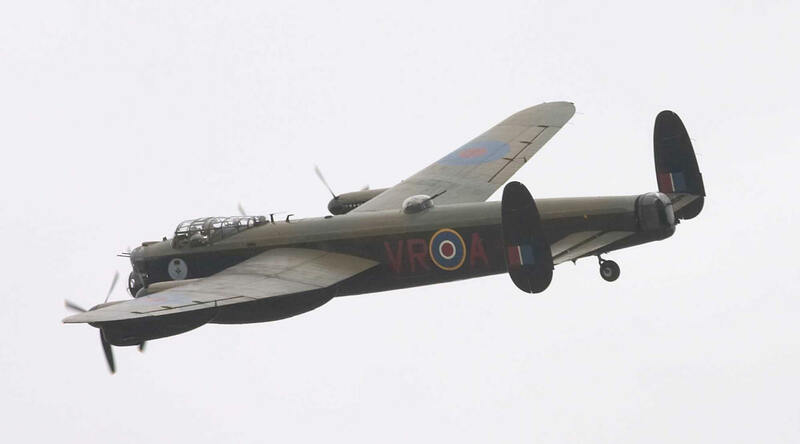 The aircraft took off from Coningsby at 2200 and was last heard on the R/T at 2300 indicating that the starboard engine had failed it is presumed lost over the sea on 16th May 1941, the aircraft had flown a total of 31hrs. Unfortunately no one survived. Crew: F/Lt G O L Bird (DFC) †, F/S K J Hutt †, Sgt P N Nutt †, P/O W A Brown †, Sgt W P Hannigan †, Sgt R G Pyatt †. L7325 - Delivered to 97Sq in early April 1941, serving with 25OTU, 9Sq, No12 School of Technical Training (SofTT) where in June 1943, it became maintenance airframe 3751M. L7373 - Delivered to No.97Sq on 22nd March 1941, whilst with the squadron it suffered many flak hits on ops although none were serious. Then subsequently transferred to A&AEE/DGRD on 13th April 1941. To No.207Sq (EM-T) on 16th May 1941. Sgt Hall was thrown to the floor of the aircraft by a heavy landing on return from ops. on 13th August 1941. The aircraft had completed 13 operations and had a total of 163 hours when lost. Airborne from Waddington on the evening of 13th October 1941 on an operation to Köln. It was shot down by a night-fighter, Gefr Bruhnke of 111/NJG./1, Twente, and crashed 2 km E of Beverlo (Limburg), 18 km NNW of Hasselt, Belgium. Those killed are buried in Schaffen Communal Cemetery. F/S Houghton gained his DFM with No.83 Sqdn. He was later commissioned and was killed in Service in the Middle East, where he is buried in Ramleh War Cemetery, Israel. Crew: P/O L.A.Paskell DFM †, Sgt D.V.Chant †, F/Sgt K.H.L.Houghton DFM evd, F/Sgt G.H.Roberts †, Sgt A.D.Smith PoW , Sgt C.D.G.Walter †, Sgt L.J.Compton †, Sgt A.D.Smith was interned in Camps 9C/344, PoW No.39539. L7374 - Delivered to 97Sq on 17th April 1941, the aircraft took off at 2336 on the 27th June 1941 from RAF Coningsby on an operation to Kiel. A radio message was received indicating that Sgt Penberthy had been killed during an engagement with a night fighter. Later that evening the bomber crashed into the sea off Westerhever. Four bodies were recovered and now lie buried in Kiel War Cemetary. The aircraft had flown a total of 82 hours. Crew: F/O F E Eustace (SFC) †, Sgt C K McKenzie (RNZAF) †, F/Sgt J J Clinch (DFM) †, F/Sgt J Elkington †, P/O A A Morgan †, Sgt P V McClaren (DFM)(RNZAF)†, Sgt C P Penberthy †. L7375 - Delivered to 97Sq (OF-B) during April 1941. The aircraft was lost during an air test and crashed at Sibsey some 4 miles north east of Boston on 28th September 1941. The cause was identified as the starboard engine jammed in fine pitch. Both crew survived. Pilot: F/O H S Blakeman. L7376 - Delivered to No25 Operational Training Unit (OTU) in December 1941, it served with 106Sq and 1654CU before finally completing its service at No 3 Air Gunners School (AGS), at RAF Castle Kennedy where it became maintenance airframe 3747M. L7377 - Delivered to 207Sq (EM-G) on 13th April 1941, the aircraft took off from Waddington on the evening of 12th August 1941 on an operation to Berlin. The aircraft was hit by flak and crashed at 0200 at Grossbeeren some 5km south-east of Teltow, Germany. Sgt McPhail survived the crash, but died on the 14th August while undergoing treatment for his burns. Along with the rest of those who died he is buried in the 1939-1945 War Cemetery at Berlin. Crew: S/Ldr G R Taylor (DFC) †, P/O J J Nottidge †, F/Sgt T Beattie (DFM), F/Sgt G R Birt (DFM)†, F/Sgt W Wetherill pow, Sgt D H McPhail inj. L7378 - Delivered to 207Sq during April 1941, it served with 106, 50Sqs, 1654CU and No12 School of Technical Training (SoTT) in June 1943. Where it became maintenance airframe 3752M. L7379 - Delivered to 207Sq (EM-T) during April 1941. Aircraft took off from Waddington on 23rd May 1941 on an operation to Hamburg. The aircraft was hit by flak over the target. 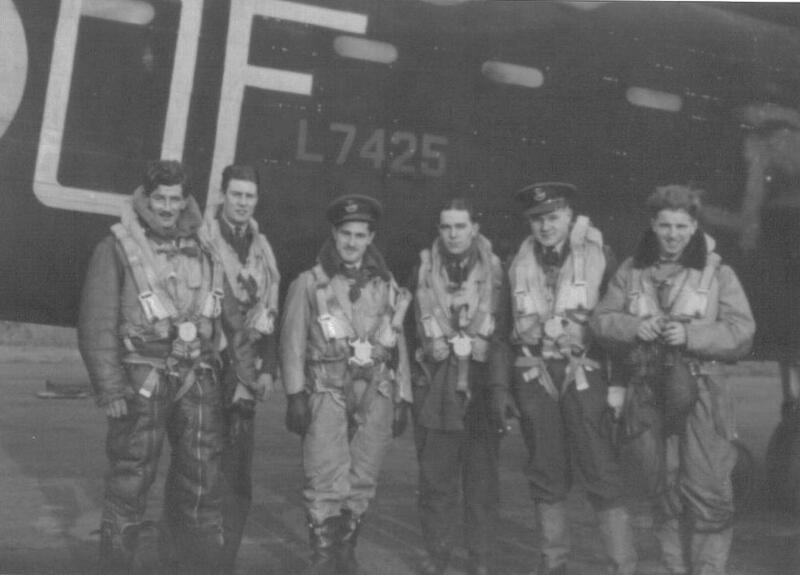 The crew baled out, with the exception of F/O Finchbeck who had mislaid his parachute. In pitch dark conditions he force landed on farmland near Hamburg. All the crew were interned as pow. Crew: - F/O D E Pinchbeck, Sgt E A C Lee, Sgt A S Duncan, F/Sgt S E Panton, Sgt W M McGregor (DFM), Sgt C N Barron. L7380 - Delivered to 207Sq (EM-W) during April 1941. The aircraft took off from Waddington on the evening of 7th September 1941 on a raid to Berlin. 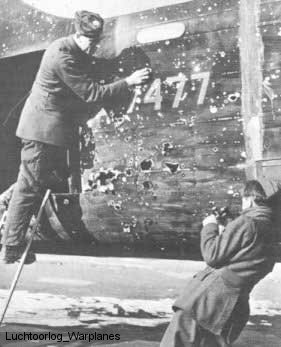 Damaged by a night fighter on the way out and still over the North Sea they managed to reach Wilhelmshaven where the bombs were jettisoned before they turned for home. Subsequently the aircraft force landed north of Ballum on the Dutch island of Ameland. All were captured and interned as pow. Crew: F/L W J Lewis, Sgt C S F Powell, Sgt R B McLeod (RCAF), Sgt D Kingston, Sgt C F Hall, F/Sgt E S Miller (RCAF). L7381 - Delivered to 207Sq (EM-R) on 15th April 1941, the aircraft took off from Waddington on the evening of 12th August 1941 on an operation to Berlin. It was shot down by a night-fighter of 4./NJG1 flown by Oblt Ludwig Becker and crashed at 0125 at the Lange Dijk at Slochteren (Groningen), 16 km east of Groningen, Holland. All are buried in the Canadian War Cemetery at Holten. Crew: F/O W M R Smith (DFC) †, F/Sgt A R Cotterell †, P/O E A Reeman †, Sgt J Allen †, F/Sgt A Halfpenny (DFM) †, Sgt A E Coakes †. L7382 - Delivered to 97Sq during April 1941, it subsequently served with 83, 44 and then back to 83Sq; it completed its service with No6 Air Gunners School (AGS), where it became maintenance airframe 3753M. L7383 - Delivered to 61Sq on 16th April 1941. The aircraft was airborne from Coningsby on a training mission during the evening of 13th September 1941 when it crashed at 0232 after striking a house in Perch Lane, Westwick some eleven miles north-east of Norwich, trapping several members of the crew in the wreckage. The accident was attributed to the aircraft running low on fuel thus necessitating an emergency landing. The damage was so significant that the aircraft was struck off charge on 26th September 1941. Crew: P/O D E Fox, Sgt J S Warton †, F/Sgt Hall, Sgt F W Tewson, Sgt J Goldie, Sgt B S Robertson. L7384 - Delivered to 97Sq on the 23rd April 1941 it suffered an accident on the 13th May 1941. On the evening of 16th August 1941 the aircraft took off from Coningsby at 2250 on a raid to Düsseldorf but was shot down by an Me110 flown by Hptm Werner Streib of I/NJG1. Flt//Lt Nunn crash landed the aircraft just inside the Belgian border as Sgt Currie had been wounded and was unable to bale out. He was taken to Aachen where unfortunately he died from his injuries. He is buried in the Rheineberg War Cemetry, while Flt/Sgt Williams, who was killed whilst baling out, is buried in the Canadian War Cemetery at Adegem, Belgium. Crew: F/Lt J L Nunn (pow), Sgt P W Ratcliffe (pow), F/Sgt W Wood (pow), W/O J N Ashmore (DFC)(pow), Sgt H Currie (MiD) (pow), Sgt A G Smith (RNZAF) inj, F/Sgt P Williams †. L7388 - Delivered to 61Sq on 24th April 1941. The aircraft took off from North Luffenham at 2030 on the 2nd September 1941 on a raid to Berlin. Shot down by flak over the target all are buried in the 1939 - 1945 War Cemetery. At 43 years of age Group Captain Barrett probably served in the first world war. Crew: W/Cdr G E Valentine (DSO) †, Grp/Capt J F T Barrett (DSO & bar, DFC) †, F/Lt A B Harrison (DSO) †, Sgt E E Dowse †, Sgt J E Nicholson †, Sgt W D Hamer (RNZAF) †, F/O L Duckworth †. L7389 - Delivered to 61Sq during April 1941, subsequent tours with 207, 83, 49, 106Sqs saw it transferred to 1660CU and finally to No1SoTT, where it became maintenance airframe 3763M. L7392 - Original delivery to a unit would have been during April or May 1941, but there is no record of which unit it was. It was however transferred to the Airborne Forces Experimental Establishment (AFEE) at Ringway on 9th February 1942, then subsequently transferred to 39MU during September 1942, where it was Struck Off Charge (SOC) during October 1943. L7393 - Delivered to 207Sq (EM-V) during April 1941, The aircraft took off from RAF Waddington with a scratch crew to carry out an engine test, following recent grounding of Manchesters. An engine fire developed while over the Bristol Channel, but with skilled airmanship, S/Ldr J C MacIntosh succeeded in crash landing at Perranporth, Cornwall. The airframe was later converted for instructional use and became 2600M. L7397 - Delivered to 83Sq during April 1941, it subsequently served with 49, 207Sqs; finally completing its days at 1660CU, where it became maintenance airframe 3762M. L7398 - Delivered to 97Sq during April 1941, it served with 106, 49, 97Sqs and 1661, 1660CUs until it was finally scrapped on 30th April 1943. Having flown a total of 286hrs. L7400 - Delivered to the Royal Aircraft Establishment (RAE) some time during late April 1941, it subsequently served with 1654CU where during a routine flight a practice bomb exploded in bomb bay during bombing practice, the aircraft landed safely but was significantly damaged and was subsequently scrapped in May 1943 having flown a total of 367hrs. 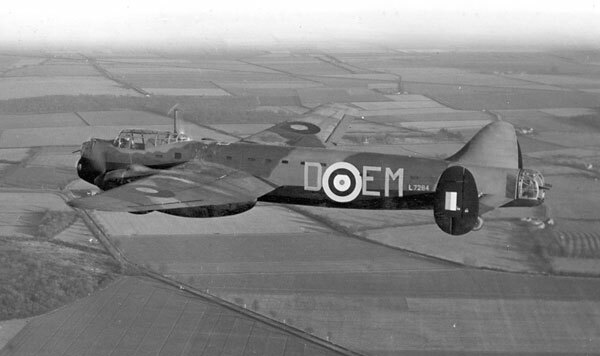 L7402 - The first record for this aircraft is No420 Conversion Flight based at RAF Waddington, delivery would have been no earlier than 16th May 1942, the transfer to 1661CU would have involved a simple move across the airfield, it was struck off charge (SOC) during March 1943. L7415 - Delivered to 50Sq during May 1941, it served with 61 and 408Sqs and was operated by 1654/60/61CUs it was finally struck off charge (SOC) during October 1943 having flown a total of 267hrs. L7416 - 1654CU, Crashed into trees landing 30Aug42. Crew saved. L7419 - Delivered to 207Sq during May 1941, it served with 50, 408Sqs and 1654CU (UG-B), completing its service at No4 Air Gunnery School (AGS), where it became maintenance airframe 3748M. L7420 - Delivered to No25 Operational Training Unit (OTU), it subsequently served with 49Sq and 1660/61CUs. It was utilised by USAAF for ditching training in 1945 and then by the RAF. It was dumped in a sandpit in Lincolnshire in 1956. L7422 - Delivered to 207Sq (EM-V) on the 20th May 1941, the aircraft crashed at Hardings Farm, Linwood some 2 miles SSE of Market Rasen, Lincolnshire, whilst on a training mission on 26th October 1941. The aircraft was carrying a complement of thirteen including a number of ATC Cadets, the aircraft having achieved a total of 70 flying hours. Pilot: S/Ldr K H P Beauchamp. L7424 - Delivered to 97Sq on the 1st June 1941, the aircraft took off at 2102 on 12th August 1941 from Coningsby on an operation to Berlin and was last heard of on the w/t at 0228 indicating that the crew were about to bale out. Subsequently the aircraft crashed near Münster, where Sgt Scott (RNZAF) was admitted to hospital with a broken leg. Crew: F/O J A Little (pow), F/O M G Geoghegan (pow), Sgt G R Tiley (pow), F/Sgt R G W Hodgkinson (pow), Sgt L Robinson (pow), Sgt G L Scott (RNZAF)(pow), F/Sgt R W Jones (pow). Avro Manchester L7425 - with crew. L7459 - Delivered to 97Sq during July 1941. The aircraft took off from Coningsby at 1450 on 8th January 1942 on a training mission and crashed almost immediately when one of its practice bombs exploded. The cockpit filled with smoke, temporary blinding the pilot. The throttles were closed and the aircraft sank back onto the ground. All of the crew were injured. Crew: - F/Sgt G H Hartley, Sgt P R Barnes, Sgt C W R Booth, Sgt G H P Dean, Sgt J Baker, Sgt C Mayland, Sgt R G W Cross. See R5783. L7462 - Delivered to 97Sq (OF-Z) on 26th September 1941, the aircraft took off at 1830 from Coningsby on the evening of 20th October 1941 on an operation to Bremen. They were last heard of on the w/t at 0030 indicating that the wireless equipment was causing problems. On the 4th November , news came from Coltishall that the body of Sgt Hunt had been recovered from the sea and a similar message was received from Martlesham Heath in respect of Sgt Redwood. Both are buried in the United Kingdom and the remainder are commemorated on the Runnymede Memorial. Crew: P/O W G Noble †, Sgt L L Harrison (RNZAF) †, Sgt A F G Redwood †, Sgt N F Hunt †, Sgt C C Kolar †, F/O L A J Mills (DFC) †, Sgt R M C Worthington †. L7466 - Delivered to 97Sq (OF-N) on 26th September 1941, the aircraft took off from Coningsby at 1320 on the afternoon of 8th November 1941 on an air sea rescue operation to search for crews reported missing from the previous nights operations. It was last seen at 1600 in the search area over the North Sea. All are commemorated on the Runnymede Memorial. F/Sgt Stanley gained his award for service with 44 squadron. Crew: F/L C F D Price (DFC) †, P/O G H J Pickering †, Sgt N J Weston (RAAF) †, F/Sgt C Stanley (DFM) †, Sgt A R A Dexter †, Sgt C R Bronson (RCAF) †, Sgt F W Manners †. L7482 - 25OTU. 97 Con Flt, 1660CU, Abandoned due to icing and fell at Highfield Farm, Metheringham 2Jan43. Avro Manchester L7483 with crew. L7487 - Delivered to 207Sq (EM-N) in September 1941, the aircraft took off from Waddington on the evening of 20th October 1941 but crashed in the North Sea some 18 miles off Great Yarmouth. The body of P/O MacDonald RCAF was eventually washed onto the French coast and he is buried in the Eastern Cemetery at Boulogne. His companions have no known graves. P/O Ruck-Keene was the son of Admiral W G E Ruck-Keene MVO, JP, who lost two sons on active service with the Navy. Crew: P/O J C L Ruck-Keene †, P/O G S MacDonald (RCAF) †, P/O H S Ray (RCAF) †, F/S J S Cooper †, Sgt D D Taylor (RCAF) †, Sgt W H Cubbon †, Sgt H C Gardner †. L7490 - Initially delivered to 25OTU in September 1941, it was transferred to 97Sq (OF-U) that same month, the aircraft took off from Coningsby at 0930 on the morning of 48th December 1941 on an operation to Brest. The aircraft was hit by flak in the target area which wounded Flt Lt Wright. On return to base the aircraft stalled and crashed. The flak damage is believed to have been a contributory factor. Flight Sgt Pendrill was an experienced pilot and had gained an immediate DFM for devotion to duty on recent operations. The aircraft had completed a total of 89hrs. Crew: W/C D F Balsdon †, F/S G E A Pendrill DFM †, Sgt H Bischlager (RCAF) †, Sgt J L Gibson (RCAF) †, Sgt F Y D Kerr †, Sgt R T Bray †, Sgt L W Jones †, F/L R A Wright †. L7492 - 97, 61, 50Sqs; 1485Flt, 1654CU, 4AOS. Became 3985M. L7494 - Delivered to 61Sq in September 1941. The aircraft took off from Woolfox Lodge at 17:42 on the evening of 7th December 1941 on an operation to bomb Boulogne docks. It exploded and crashed into the sea off Boulogne. Sgt Wells is buried in Boulogne Eastern Cemetery, the rest have no known graves. Crew: S/Ldr J L Riley †, Sgt C L Wells †, P/O R Adcock †, Sgt J V Randall †, F/S J Wilson †, Sgt J Crawford †, Sgt J B Leigh (RNZAF) †. L7520 - Delivered to 61Sq on 21st October 1941, the aircraft crashed on 2nd November 1941 near Roxton, 7 miles NE of Bedford after the port engine cut and all attempts to feather the airscrew failed. Pilot: P/O A L Searby. L7523 - Delivered to 207Sq (EM-M) during November 1941, the aircraft took off from Bottesford at 1735 on the evening of14th January 1942 but crashed at 2045 and burnt out at Cliff House Farm near Holmpton, 4 miles SSE of Withernsea, Yorkshire. Crew: F/S B C Wescombe †,F/S F E Thomas †, Sgt E R Harper †, F/S L Sieve †, Sgt C R Westbury †, Sgt J T Howe †, Sgt M R Walker †.